The Supreme Court on Tuesday sent three directors of the Amrapali group to police custody admonishing them for playing "hide and seek" with the court and ordered they hand over all the documents of the embattled real estate major's 46 group companies to forensic auditors. It ordered that the three directors-- Anil Kumar Sharma, Shiv Priya and Ajay Kumar-- will remain in police custody till they hand over all the documents. At its hardware fall event in New York, Google took the stage to officially unveil the new, extensively leaked, Pixel smartphones on Tuesday. Featuring a bigger display in a design similar to 2017 Pixel 2 devices, Google claims that the Pixel 3 and Pixel 3XL brings the best of Google in a phone. Pre-orders for Pixel 3 and Pixel 3 XL will begin starting October 11 and the phones will go on sale from November 1. The State Bank of India has decided to raise its target to acquire asset portfolios from non-banking financial companies (NBFC). The bank has reportedly tripled the target from its previous level. In a statement on Tuesday, India's biggest lender said that it is raising the target for purchase of "good quality" asset portfolio from NBFC, "as it believes that there is good opportunity to expand its loan portfolio at attractive rates". The national capital is home to as many as 163 out of 831 uber rich Indians with IT major HCL founder Shiv Nadar, whose net worth works out to Rs 37,400 crore, bagging the top spot among the richest Delhiites, according to Barclays Hurun India Rich List 2018 released on Tuesday. The total number of Indians having a net worth of Rs 1,000 crore or more in 2018 has gone up by a third from 617 in 2017. In the case of Delhi the number of this ultra rich club has shot up by 46 this year from 117 last year. The Reserve Bank on Tuesday announced it will inject Rs 12,000 crore liquidity into the system through purchase of government bonds on October 11 to meet the festival season demand for funds. The government will purchase bonds with maturity ranging between 2020 to 2030, the RBI said in a statement. 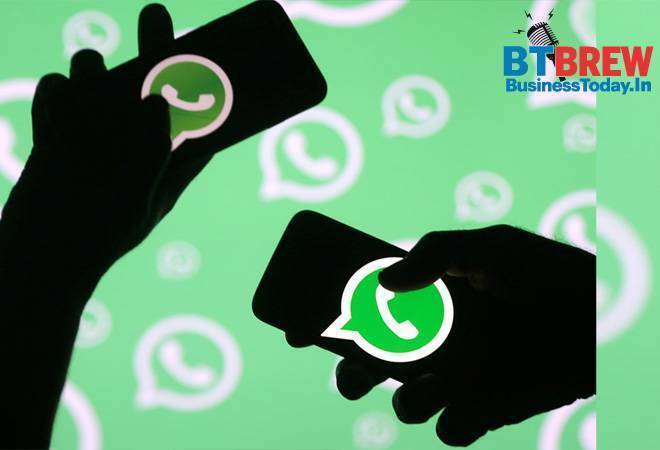 With the clock ticking down to the RBI's deadline for compliance with its data localisation norms, mobile messaging platform WhatsApp on Tuesday announced that it has built a system that stores payments-related data in India. In April the apex bank had issued a circular directing global payment companies to store transaction data of Indian customers in the country itself within six months. The new norms come into effect from October 15.